Editor’s Corner: We’re back to haunt you! Yes, I completely blew the timing on this. I would love to have read it before Halloween so I could share it with you then—but things happen, people change, and sometimes mistakes are made. Sepulcher, crypt, catacomb and mausoleum are all places where the dead are laid to rest. However, there are some differences between the terms. We will examine the definitions of the words sepulcher, crypt, catacomb, and mausoleum, where these words came from. A sepulcher (American spelling) or sepulchre (British spelling) is a small room in which a dead body is laid to rest. Most properly, a sepulcher is cut out of rock and is in more of a natural setting, though the word has been expanded to be a synonym for tomb or mausoleum. The word sepulcher is derived from the Latin word sepulcrum, meaning place where someone is buried. A crypt is a small room or a vault in which a dead body is laid to rest, situated under a church. A crypt may be a room that is large enough to function as a chapel or simply an area large enough to hold a coffin. Crypts are often located in the wall or under the floor of a church. The word crypt is derived from the Greek word krypte which means hidden. 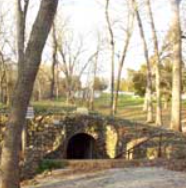 A catacomb is an underground cemetery, especially referring to the tunnels built by the ancient Romans. 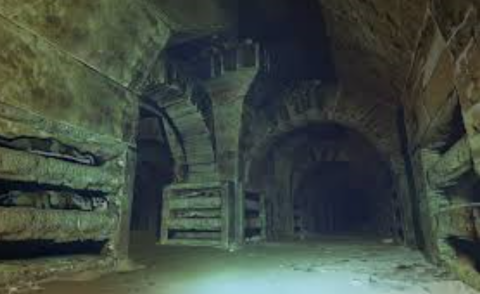 The catacombs under Paris, France and Rome, Italy are famous and extensive. 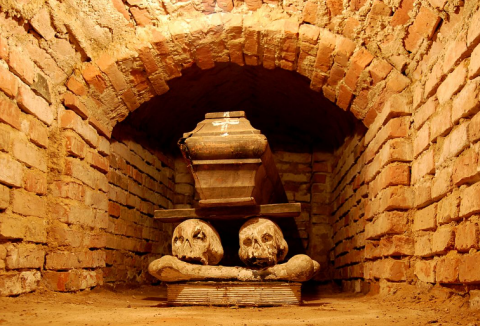 The word catacomb is perhaps derived from the Latin term cata tumbas which translates as at the graves. A mausoleum is an above-ground tomb or building composed of granite or marble. A mausoleum usually has doors and a vestibule, as it houses more than one set of remains. 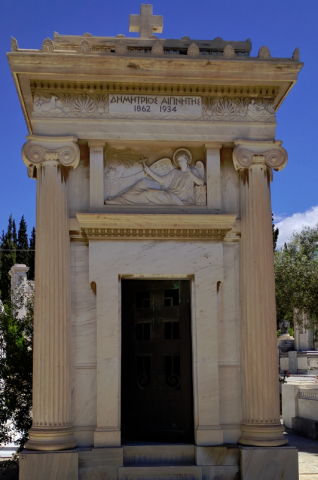 The word mausoleum comes from Greek name Mausoleion, which is the enormous tomb built around 350 BC for Mausolos, a self-appointed king of Caria. Mausoleums may hold either coffins or urns or boxes containing ashes.